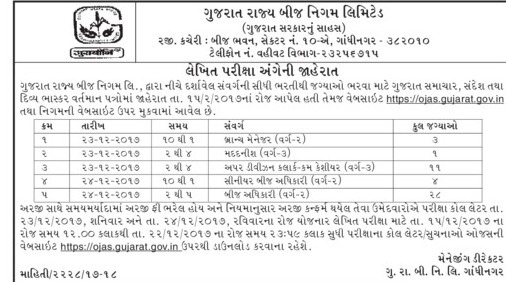 Gujarat State Seeds Corporation Limited (GSSCL) (GURABINI) has published Exam / Call Letter Notification for Various Posts. Check below for more details. Call Letters Starts Date: 15/12/2017 at 12:00 p.m. Call Letters Ends Date: 22/12/2017 till 23:59 p.m.